The campy, silly tone delighted kids and amused adults. 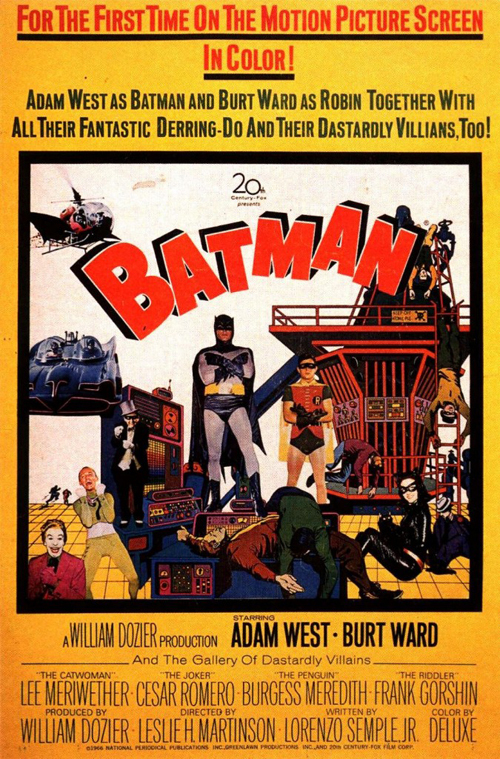 It was pretty clear that Batman was a huge hit and to capitalize on the show’s popularity, Batman was sent to theaters for his first full-length motion picture….in color! This article originally appeared on John’s site Haphazard Stuff. For more original content, also check out his bloghere.